Don Carrigan is a reporter at NEWS CENTER Maine specializing in political reporting from Augusta. Don is on his second career with NEWS CENTER Maine as the State House bureau chief. Don is a native of South Bristol, Maine. He graduated from Lincoln Academy in Newcastle in 1969, and the University of Maine in Orono in 1974. Don began his broadcast career in radio during college, and then joined WLBZ-TV in Bangor as a reporter, anchor and photographer. Don worked for WLBZ 2 and WCSH 6 for nearly 18 years, eventually becoming 6 p.m. anchor and News Director for WLBZ 2. In 1991, Don joined the staff of U.S. Senator Bill Cohen, working on a variety of issues affecting Maine. In 1994, he returned to broadcasting, becoming Executive Producer of Public Affairs for Maine Public Television. 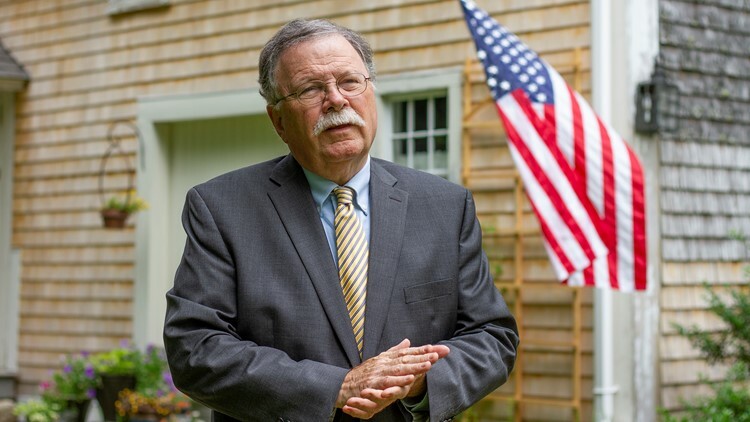 Don anchored the weekly MaineWatch and monthly Capitol Connection programs and moderated dozens of political debates, as well as producing a number of documentaries and other specials. Don joined NEWS CENTER Maine in February 2003 to become the Midcoast bureau reporter for both stations. He also covers political campaigns and other issues. Don lives in South Bristol, with his wife, Donna, owner of a kitchen design company. They live in the antique farmhouse where he grew up.